Please buy your tickets before Fri 11.1.2019! Many modern organisations are looking for ways to become more agile, lean, „teal“ or self-organised in order to foster self-responsibility of employees, use their collective intelligence and improve their identification. The quest for „purpose“ and autonomy of the other younger generations requires a culture change in many established companies. Holacracy and Sociocracy offer promising frameworks for self-organisation with step-by-step instructions on how to achieve that in practice. Sociocracy 3.0 is the latest version out of this 60 years evolved tradition. 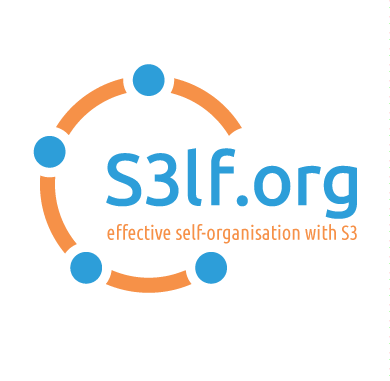 S3 is fully agile as a modular pattern approach, that enables organisations to co-create highly individual structures, flow of information, hierarchy, bottom-archy, roles, circles and links, that fit their situation and needs. S3 has a full bag of tips and tricks to make meetings more effective and how to improve the collaboration within and in between teams. Influences from Nonviolent Communication are at the center of S3 now and conflict prevention is thus preprogrammed. On top of that S3 has a full bag of tips and tricks to make meetings more effective and how to improve the collaboration within and in between teams. The training, like sociocracy itself, works a lot with creative participation. Our trainings are constantly evolving and we collect feedback every day to adapt to the needs and interests of our participants. In this three day course you will get a good basic understanding of sociocracy and the ability to apply and facilitate this methodology. After this course you will be able to facilitate your first S3 patterns within your organisation. Arne first learned about SCM (Classic Sociocracy 1.0) from James Priest and introduced it to the international gift-economy network for communities https://ecobasa.org, as well as the coworking space Thinkfarm in Berlin. He has followed the development of Sociocracy 3 curiously and is enthusiastic about the innovations and the agile approach. Since 3 years, he is a trainer and coach for Sociocracy 3.0. He has worked with many different groups and organisations and knows many other tools as well. He is trained in learning psychology and certified for brain friendly learning. Tanja attended one of Arne’s workshops in 2016 and wants to go further with S3. Pauliina also attended Arne’s workshop in 2016 and has started implementing sociocracy in her NGO. English. Ad-hoc translation to Finnish is available!